During the month of May, IMPACT will be highlighting USAID’s work in Global Health. Below features the important role of mothers and partnerships in Global Health. 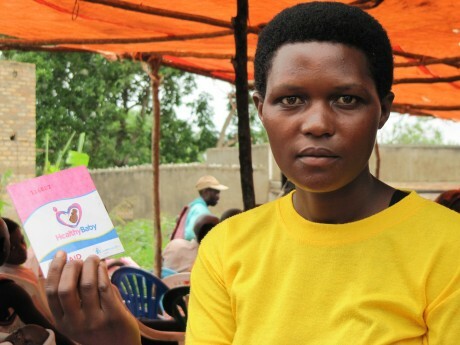 When Scovia Ketusiime was 24 years old and five months pregnant with her second child she made a purchase that might have saved her life, the life of her baby, and that of her 18-month-old: she bought a voucher. The voucher cost $1.20 and entitled her to four antenatal care visits, a safe delivery including transport to a larger facility if needed, and a postnatal care visit. Scovia lives in an area of Uganda with one of the highest maternal mortality rates in the country. While 88 percent of wealthy women have a skilled attendant at delivery, fewer than half of poor pregnant women deliver in the presence of a skilled attendant. To achieve the goal of reduced maternal mortality, Millennium Development Goal 5 (MDG 5), we need to increase the proportion of women who deliver with skilled attendants, and ultimately, we want every woman to deliver with a skilled provider. A critical step toward achieving this goal is partnership with the private sector. When Scovia heard about the Healthy Baby voucher on the radio, she wasn’t thinking MDGs or partnerships. She was thinking safe delivery. Her first baby was born at home with the aid of a traditional birth attendant after three antenatal care visits at a local public facility. While her first delivery experience wasn’t bad, this time she wanted to ensure that, “in case of any complications, I can get good care.” She talked it over with her husband, and decided to buy a voucher. Happy with her decision, Scovia said that the price was affordable and that even if it had cost twice as much, she would have found a way to purchase a voucher. The Healthy Baby voucher program is implemented by the USAID-funded Strengthening Health Outcomes through the Private Sector project in partnership with Marie Stopes Uganda. The program, supported by the Saving Mothers, Giving Life initiative, works with private facilities to ensure high quality service and with community-based voucher distributors to provide information to recipients. The Healthy Baby voucher program set out to address the dual objective of increasing access to comprehensive obstetric care for the poor in private facilities and improving and maintaining the quality of obstetric care within the private sector. It achieved remarkable results. Nine months after the program began, more than 10,000 vouchers had been sold. Almost 6,000 babies have been delivered to women using the vouchers to access safe delivery with a skilled birth attendant in a facility. More than 2,000 women used the vouchers for postnatal care, which included family planning counseling. We know that when a mother dies, her children are less likely to survive. We know that two-thirds of all maternal deaths take place during the 24-hour period of labor and delivery. We know that poorer women lack access to quality obstetric care, and we know the private sector can help bridge the gap. This program shows that coupling private sector providers with low-cost vouchers can contribute to improved maternal health. The program sounded good to Scovia. It sounded good to her husband, too. He is the one who takes her to the Kagame Maternity Home on his motorbike.